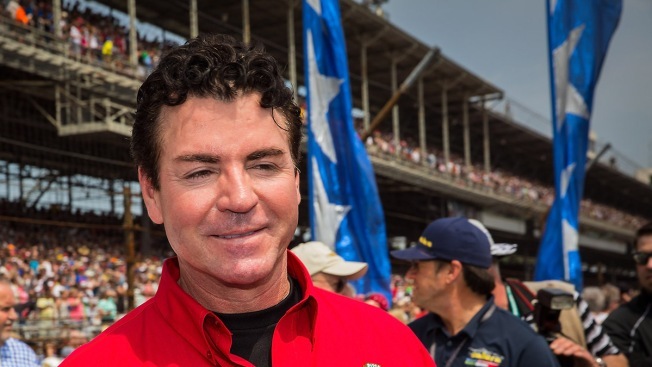 In this file photo, Papa John's founder and CEO John Schnatter attends the Indy 500 on May 23, 2015 in Indianapolis, Indiana. The founder of Papa John's says the pizza chain needs him back as its public face, and that it was a mistake for the company to scrub him from its marketing materials after he acknowledged using a racial slur last month. John Schnatter said in an interview with The Associated Press that he believes he can return to TV and radio ads once the public understands the context of his comments. "My persona resonates with the consumer because it's authentic, it's genuine and it's the truth," Schnatter said in a phone interview late Wednesday, with his lawyer and representative present. A representative for Papa John's International Inc. did not immediately respond to a request for comment. Schnatter has been under fire after Forbes reported last month that he used the N-word during a media training conference call in May. He apologized for using the word, but said it was taken out of context and that he didn't use it as an epithet. He resigned as chairman quickly after the report was published, but subsequently called the decision a "mistake." Since then, Schnatter has criticized Papa John's handling of the matter, saying it acted hastily without investigating what happened. He also criticized the company's failure to clarify his comments last year blaming disappointing pizza sales on the NFL leadership's handling of player protests during the national anthem. Those comments were seen as insensitive to players, and prompted Schnatter stepping down as CEO last year. Schnatter said the remarks were aimed at the league's leadership, not its players. In a separate interview with CNBC, Schnatter said he had "no confidence" in the CEO he had handpicked to replace him, Steve Ritchie. "I like Steve as a person. I don't like, of course, the way he's gone about this. I think he's been harsh I think he's been cruel," he said of Ritchie, who took over in January. "Throwing the founder on the street isn't healthy for anybody." Keith Hollingsworth, a professor of business at Morehouse College, said it would be best for the company if Schnatter kept a low profile for the near term. "Even if everything he's saying is true, I'm not sure you can convince people of that," Hollingsworth said. Hollingsworth said he thinks Schnatter can eventually return in a public role, but that he needs to give it some time. Even before the backlash to Schnatter's NFL remarks, a key sales figure had been slowing partly because of competitive pressures, noted Alexander Slagle, an analyst for Jefferies. Slagle said he believes the negative publicity will continue to be "painful" for the company, but that "the brand will survive." Since the NFL remarks last year, Schnatter said he didn't feel comfortable appearing in TV and radio ads. 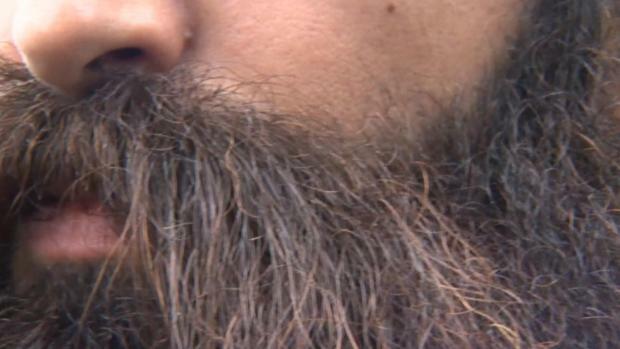 His image remained on a logo that was all over Papa John's website an on its pizza boxes, but the company began removing those too after the latest controversy. Papa John's had been testing his return to TV and radio ads before the latest controversy, he said. Though Papa John's may blame its poor performance on him, Schnatter said the company is suffering because it moved away from its "roots" and made too many marketing changes at once. In addition to his disappearance from ads, he said Papa John's stopped focusing on its "better ingredients" mantra and made misguided changes, such as tweaking the red and green in the logo "to cater to the millennials." Schnatter remains a board member and owns nearly 30 percent of Papa John's stock. Following the Forbes report, Papa John's adopted a "poison pill" plan to prevent him from mounting a takeover. Papa John's reports its quarterly results next week, and Wall Street analysts expect a key sales figure in North America to decline for the third quarter in a row. Schnatter has requested documents from the company relating to its actions following the Forbes report, and believe they will help vindicate him. "Once the public actually grasps what the board and what the management did to cause the problem and the truth gets out, of course I can be back in the ads," he said. Papa John's, which is based in Louisville, Kentucky, began operations in 1984 and has more than 5,200 locations globally.